As Instagram has grown it’s become an integral marketing channel for more than 5 million businesses worldwide1Instagram business blog, September 2017. But as a busy social media manager, it can be difficult to find the time to consistently post to Instagram. This is where scheduling comes in. Learning how to schedule Instagram posts is one of the biggest time savers and productivity hacks for social media managers today. And what’s more, scheduling your Instagram posts has many benefits. Studies have shown that consistency is key to growth on Instagram, so scheduling your Instagram posts and ensuring regular updates can be a win-win situation—both boosting your reach and engagement as well as saving you valuable time throughout the day. This guide will explain exactly how to schedule Instagram posts (and how scheduling can benefit your business). 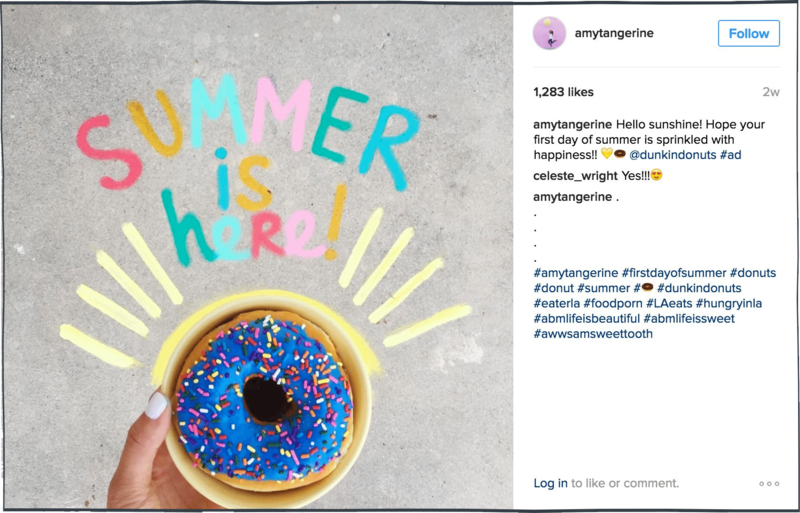 Crafting and posting the perfect Instagram post can be time-consuming — especially if you’re creating your posts on the day you want to publish them. However, scheduling your posts ahead of time might be a better, productivity-boosting way to create and share your Instagram content. By batching your work, you can avoid the costs associated with multitasking and context switching. According to research shared by Inc., multitaskers take 50 percent more time to complete a single task and commit 50 percent more errors2Inc., June 2014. By spending an hour or two creating and scheduling your posts for the week ahead, you can save a ton of time and keep a consistent quality across the board. With Buffer for Instagram, you can now schedule single-image and video posts directly from desktop or mobile (with a few limitations). For any other scheduled Instagram posts, we’ll send a reminder notification to your mobile device to finish the post when the time is right. This approach can free up so much of your time to focus on the many other tasks social media managers must tackle daily. Consistency plays a key role in social media success. When you’re consistently and frequently publishing new content, your audience will learn what to expect from your and when it’ll be posted. Keeping a consistent schedule makes sure you maximize engagement without hitting any lulls or stretches without updates. A few years back, Union Metrics put together data on brands and Instagram and it found that most brands post to Instagram daily — the average was in fact 1.5 posts per day. Another interesting learning from Union Metrics’ study was that there was no correlation between increased frequency and lower engagement, so brands that posted multiple times per day didn’t notice any negative effects. The lesson here is that consistency is key for Instagram success. By scheduling your posts ahead of time you can ensure your profile is always filled with fresh new content. Smartphones are becoming awesome tools for creating content, but sometimes, especially if you’re a social media manager, it can be easier to prepare and schedule all of your content on a desktop computer. One of the advantages of scheduling your posts in the web app is that you’ll have access to images of videos that might not be on your phone. Most Instagram scheduler tools, Buffer included, enable you to create your posts on your desktop before publishing on mobile. In some exciting news, you can now schedule certain types of Instagram posts directly from third-party apps like Buffer to Instagram. While scheduling Instagram posts directly helps you save a ton of time, one of the great things about reminders are that they allow you to create an image on your desktop, and then use all of Instagram’s handy native features, like image filters, to put a final coat of polish on the post. If your Instagram profile isn’t a business profile already, switching it will enable Buffer to schedule posts directly to your profile. Here are some handy instructions from Facebook (you’ll need to have a Facebook Page to switch to an Instagram business profile). If your Instagram profile is a personal profile, Buffer will schedule reminders only. If you’re on the Free Plan, click Connect More on the left hand side of your dashboard, followed by Connect under Instagram. If you’re on the Pro or Business Plan, click Add a Social Account on the left hand side, followed by Instagram from the list of social account options. Finally, you’ll be asked to log in to your Instagram account and then you’re all set to start scheduling your Instagram posts with Buffer. Here’s a video tutorial if it helps to see the actual set up process. Note: If you’re a current Buffer user who has an Instagram profile already connected, you can simply visit that profile in your Buffer dashboard and follow the prompts from the banner on the page. You can also connect Instagram to Buffer through our iOS and Android apps. Once you’ve connected your Instagram account with Buffer, it’s time to create the content you want to post to Instagram. After you’ve sourced the video or image you’d like to post, it’s great to draft your caption, choose any hashtags you’d like to include and any other Instagram accounts you’d like to @-mention in your post. Caption: Instagram captions are limited to 2,200 characters, and after three lines of text they become truncated with an ellipsis. Try to include any key details at the front of your caption. Hashtags: Hashtags allow Instagrammers to discover content and accounts to follow. Research from Track Maven found that posts with over 11 hashtags tend to get more engagement. @-mentions: Is there anyone else featured in your photo? Maybe you could @-mention them in the caption. This will notify them when you put the post live on Instagram. (For more on how to craft a great Instagram post, check out our Instagram marketing guide). Now it’s time to schedule your post for the ideal time. To do this, hop over to your Buffer dashboard and choose your Instagram account by selecting it on the left-hand side of your dashboard. Under the “Content” tab, you’ll see a section labeled “Queue”. Here you can upload a photo and write your caption (including any hashtags and @-mentions). If you upload your content and it doesn’t meet the requirements for direct scheduling, we’ll let you know that it will be scheduled as a reminder and that you’ll receive a notification to your mobile device when it’s time to post. If you’re on a paid Buffer plan, you can also bump the post to the start of your queue using Share Next. When it’s time for your post to be published, Buffer will send you a notification to whichever devices have been connected to your Buffer account. Here’s how the reminder might look on your device. Tapping “Open in Instagram” will automatically copy your caption and open Instagram, with the photo or video ready to be customized. Here you can also crop and edit your content as needed. Now, tap Share and you’re all set! Your post will then be published to Instagram and you’ll be able to see it on your timeline.